The entire world is aware of how two recent hurricanes left certain US states in a bad shape today. Texas and Florida residents were once again reminded of the power of Mother Nature’s wrath and many are quick to surmise that climate change may have a hand in this. It is not often that Americans experience natural calamities like these two, so it is a major eye opener for many especially the ones who had to go through the ordeal of the storm. The fear caused by the heavy rain and flooding forced people out of their homes with only the most important items in their possession without really knowing when they’ll be able to go home and bounce back. The government is always ready to help its citizens but one can’t expect to receive everything they will ever need to recover from the state. After all, major public properties and infrastructures were also destroyed during the storm that the government has to fund and rebuild. Non-profit organizations pitch in to help and they have been of great help to each and every community for the longest time. They not only hand out relief goods but even aid in the relief and rescue operations. More than 50 local and national charities have raised more than $350 million in the nearly three weeks since Hurricane Harvey struck the Texas Gulf Coast, and the disparate groups are trying to decide on priorities while some storm victims still await help. Distrust of large charities such as the American Red Cross has driven many donors to smaller, local organizations. For instance, Houston Texans football star J.J. Watt has raised more than $30 million for his foundation, an effort he started by posting appeals on social media. One donor to Watt’s effort, Helen Vasquez, stood outside the Texans’ stadium and said she had seen a Facebook post listing the salaries of executives at top national charities. She gave Watt $20 instead. Charities help disaster survivors in every possible way you can ever imagine. Big charities like the Red Cross are all over the place while smaller ones also do their part and make a difference to people’s lives. During times of disasters, others who are unaffected by the tragedy do not hesitate in giving back to these charities in order to help them mobilize help where help is needed. Hurricane Irma is no more, but the response and recovery to the devastation the storm left behind in Florida and in the Caribbean is fully underway. The damage to some island nations in particular is difficult to comprehend. The small island of Barbuda had 90 percent of its structures damaged or destroyed, according to the Washington Post. Anguilla saw similar damage to its electricity infrastructure. On St. Martin, 70 percent of the homes had been damaged or destroyed, leaving tens of thousands in need of public shelter. A million people were without power in Puerto Rico, and millions more were without electricity in Florida, where the fiscal damage has not yet been calculated. If you’re wondering what you can do, one easy way to pitch in is to give money to one or more of the many charities involved with the response and recovery. Here are some suggestions and a little guidance if you’re not sure where to start. The survivors need your help now more than ever. You may not be able to extend help physically in aid of the recovery efforts but whatever amount you share can go a long way in uplifting the lives of these people who do how to move on from this tragedy. 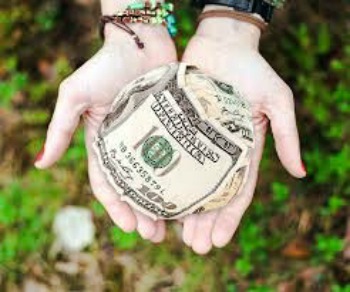 Giving financial donations to these charities or humanitarian organizations is perhaps the best thing you can do in helping another person in need. You may also donate in kind, although, some advised that monetary donations are better because of the challenge posed in transporting goods and clothing in the affected areas where most infrastructures have also been damaged by the hurricane.